As its daily news podcast “Today, Explained” turns one today, Vox Media has announced an expanded partnership with end-to-end podcast company Stitcher, reports Axios. The partnership was also announced by Stitcher at the Winter Podcast Upfront in Los Angeles today. 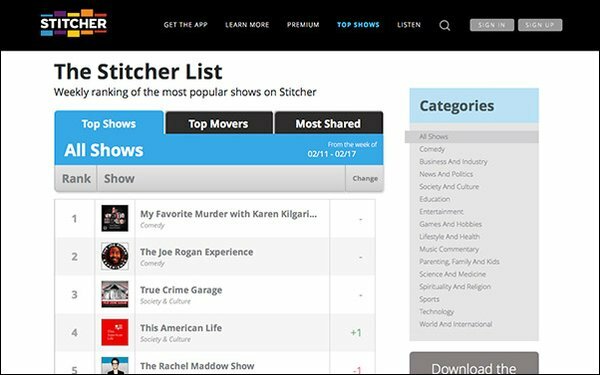 “Today, Explained” was also launched with the help of backing from Stitcher, which will sell ads for the new show and share revenue with Vox Media. In the latest multimillion dollar deal, Vox Media will produce a new technology news podcast for Recode as it continues to deepen its library of shows. The untitled show, which will run three times a week beginning this summer, is reported to cover topics surrounding privacy and artificial intelligence through a long-view approach, applied to the business of technology. Vox Media has yet to name a host for the show and will hire a new team through the financial support of Stitcher. Reporters from Recode and Vox Media will appear on the show, as will outside reporters, experts and guests. This is another effort by the company to establish a standalone podcast business. Axios reports that Vox Media’s podcast advertising revenue is set to more than double this year and is an eight-figure business. The company now produces over 75 podcasts, up from 25 in 2017. Separately, The New York Times continues to invest in and expand its audio business. Today, the outlet announced that Theo Balcomb, who helped launch “The Daily” in 2017 and pushed its expansion into radio, is now the executive producer of “The Daily” and news, while expanding duties in radio and voice. Most recently, Balcomb was involved with the outlet’s experiments with news quizzes and flash briefings through voice. “When Theo Balcomb walked in the door of The New York Times a little over two years ago, there was no such thing as a daily news podcast. Not just at The Times. Period,” Lisa Tobin, executive producer of audio, and Times' assistant managing editor Sam Dolnick wrote in a note about Balcomb’s promotion.